Inventors ‘going it alone’ often need distinctive brand names and identities for their products to set them apart from the competition and to highlight the specific benefits they offer. A trademark — whether registered or unregistered — is the usual way to achieve this. In general, a trademark is a mark which ‘allows your customers to tell you apart from your competitors’ (UK Intellectual Property Office). This can be a name, logo, shape, colour, sound or website domain name, although the most common types applicable to inventors are names and logos. Distinctive product shapes and forms are better handled by Registered Designs and will not be discussed here. When thinking about names, there is a continuum of ‘distinctiveness’: a name such as Kodak had no prior meaning in any language, therefore was eminently usable as a trademark across lots of different types of products. Surnames, place names and words which come from the dictionary but which are applied in a different context, perhaps arbitrarily, such as Jaguar Cars, Dyson Appliances, Brompton Bicycles or Shell Petroleum, are another type, as opposed to words which have some suggestive connection with the product, such as Subway for the fast-food chain. Finally, there are names which are descriptive of the product but still (just) distinctive enough — such as Burger King. Anything less distinctive will be very difficult to use as a trademark. 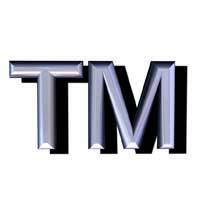 An unregistered trademark (™) is a trademark which has come about simply through use, i.e. you have sold your product or traded under that name for some time, and have built up a reputation. If someone else uses the same trademark for the same type of business, and you can prove that you have been harmed in some way by the other business’s activities, then you may be able to take action for ‘passing off’. However, there is no guarantee of success in this, and for an inventor aiming to use a trademark as an integral part of promoting his or her invention, it makes more sense to apply for a registered trademark (®) as soon as possible. To apply for a registered trademark, you must determine that your mark fulfils the criteria stipulated by the UK Intellectual Property Office, and that it has not already been registered in the same field. You then pay a £200 fee, which allows one product or service category to be specified (the categories are fairly broad); it is £50 extra for each further category. Within three months or so, your application will have been examined, and if accepted, published in the Trade Marks Journal which allows objections (if any) to be lodged by competitors or other interested parties. Once these issues have been resolved, your mark will either be rejected or you’ll receive a registration certificate, which is valid for 10 years, after which you must renew the mark again. Alternatively, an International trademark or Community trademark (Europe) can also be applied for through the UK Intellectual Property Office. Coming up with names and logos can be a fun way to exercise your creativity, but they can also be a crucial part of your invention’s success. Dyson went ‘against the grain’ in using his surname — this is fairly rare nowadays for new products, and tends to rely on the inventor being comfortable with being identified with his or her product very publicly. Mandy Haberman’s ‘Anywayup Cup’ is a good name which is both descriptive and distinctive, and emphasises the unique benefit of the invention. Make sure to check the UK Intellectual Property Office’s online database to see if similar registered marks already exist, before going any further; it’s also worth checking Companies’ House’s WebCheck service to check that there aren’t already any companies trading under the names you’ve chosen.